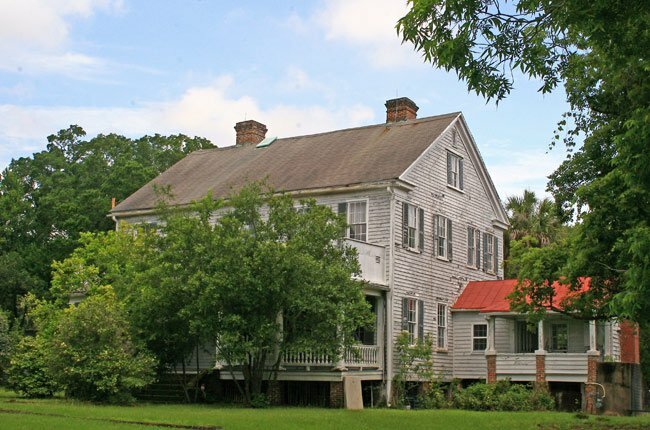 McLeod Plantation is located along the Wappoo Creek on James Island in Charleston County. It was named for William Wallace McLeod, who acquired the plantation in 1851. 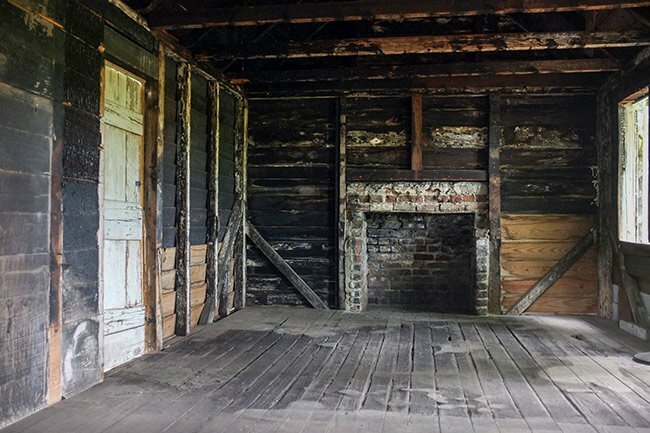 The 37-acre property has had an especially important past, serving as a hospital for the Confederacy, a camp for the famed 54th and 55th Massachusetts Volunteers, a burial ground for slaves and Union soldiers, and a headquarters office for the Freedmen’s Bureau. Until recently, it has also had a precarious future. McLeod is unusual in that it lies in the heart of what is now a busy commercial district. The circa 1855 house, avenue of oaks, slave cabins, and lone remaining field are surrounded by a major highway, several fast food restaurants, a grocery store, and a multi-story medical complex. The last living family member, William McLeod, died in 1990. 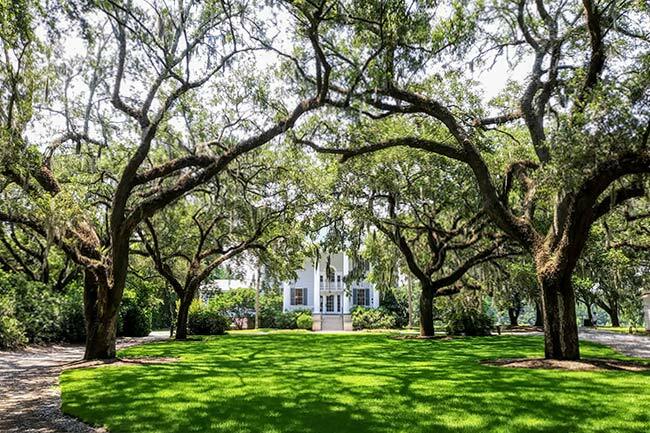 Having no heirs, he left his property to the Historic Charleston Foundation, hoping that this group would help preserve the plantation’s history and protect the land from development. The plantation was eventually bought by Charleston County Parks and Recreation Commission in 2010 for use as an interpretive center and event site. The commission spent $8.4 million purchasing the property, restoring the old buildings, and adding a modern visitors center and pavilion. 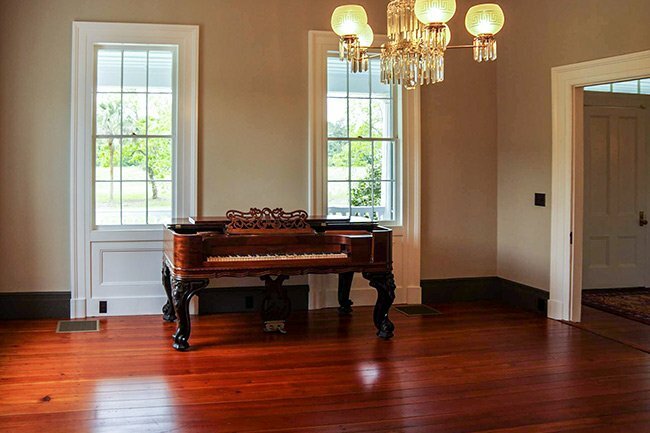 McLeod Plantation opened to the public as a Charleston County Parks and Recreation site on April 21, 2015. 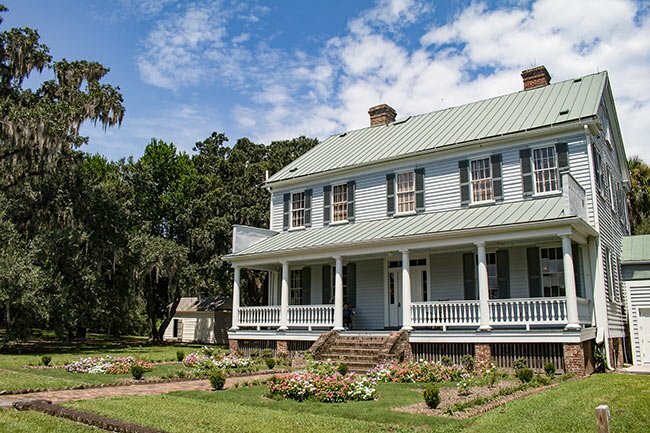 Constructed in 1858 by William McLeod, McLeod Plantation has remained in the family since it was built and is still a functioning agricultural enterprise. 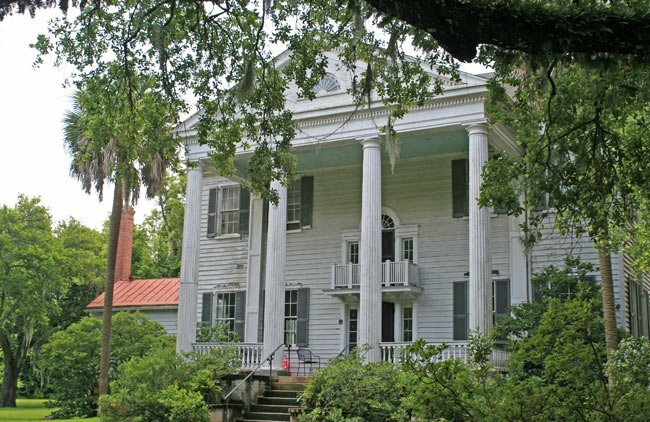 The oak-line drive to the house recalls the antebellum period, the vestiges of which are fast disappearing on James Island, owing to commercial and suburban development. The plantation still retains many aspects of nineteenth century rural life including five clapboard slave cabins, an additional kitchen/bedroom cabin, indigenous gardens, interesting landscaping, fields, and evidences of Union occupation during the Civil War; there is also an Indian village site on the grounds. The plantation house, built ca. 1858, is a raised two-story clapboard structure with giant order pedimented tetrastyle Roman Doric portico and pilasters at the returns. The present front of the structure was originally the rear; the current portico, constructed in 1926, is supported by a concrete base and is reached by a flight of concrete steps. An intercolumnar balustrade encloses it. The original front porch façade, however, retains all of its original charm and symmetry. McLeod was a successful cotton plantation largely due to the success of Sea Island Cotton. Sea Island Cotton, a name given to the variety of cotton grown in the Lowcountry, was particularly desirable for its extra-long and silky fibers. This barn, pictured below, housed machinery that was able to separate cotton fibers from their seeds much faster than manual processing. Willis Ellis McLeod, the last of the McLeod family to live on the property, was born in 1885 and became owner of the plantation in 1918. McLeod lived in the main house until his death in 1990 at the age of 105. 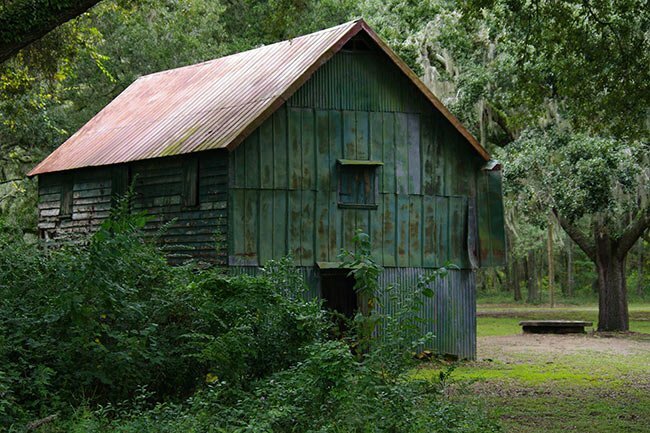 The slave cabins here are thought to date to the early 19th century, making them some of the oldest in the country. 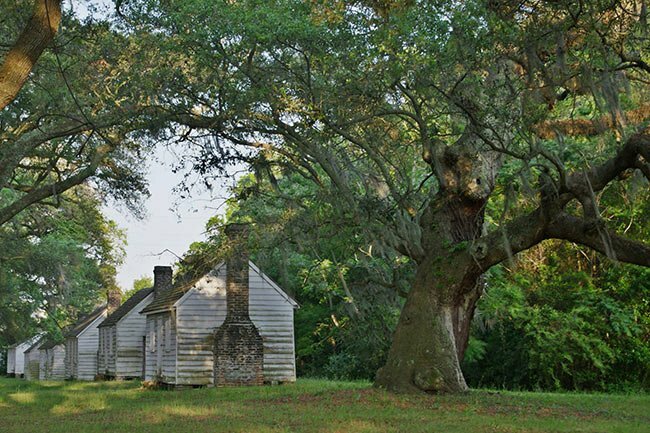 Long after the Civil War, the McLeod family rented slave cabins to descendants of the enslaved people who once worked here. Some cabins underwent changes as the style of living changed over the decades. 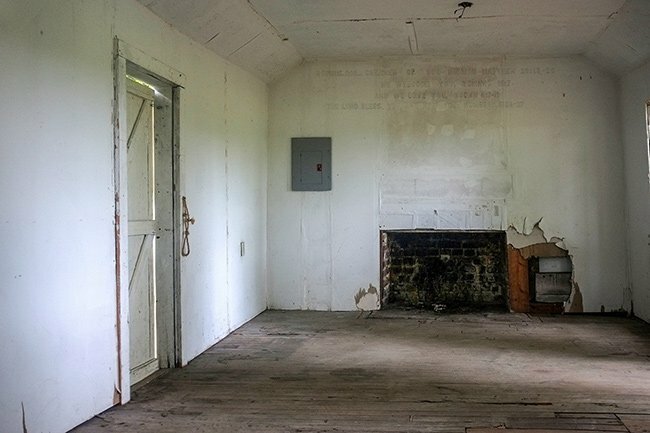 Breaker boxes and electrical outlets can be found in some of the cabins as some descendants resided here well into modern times, around 1990. This also marks some of the longest periods of time that descendants of the formerly enslaved resided in their ancestors former homes. 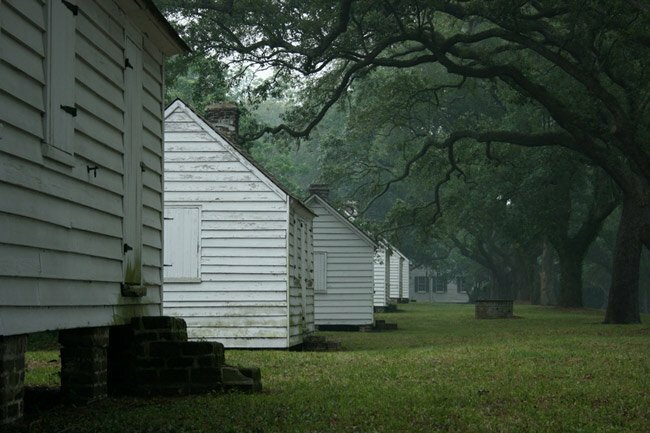 Six slave cabins remain on the property and were restored before the site opened to the public. Visitors to the plantation are able to tour the main plantation house, as well as the houses for the enslaved, to get a complete picture of all who worked and lived here, something most historic sites have never offered in this context. 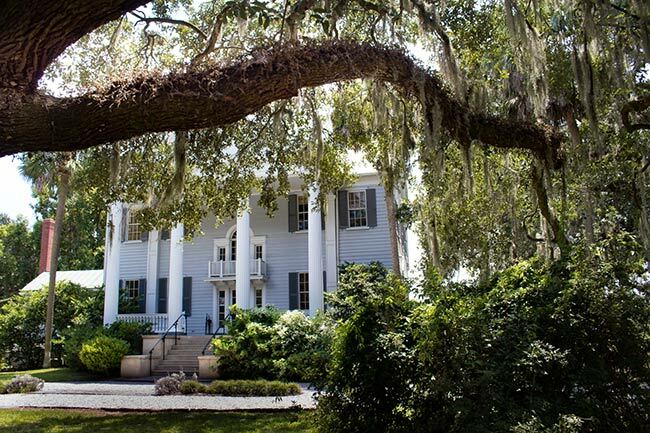 At McLeod Plantation, every person, both free and enslaved, black and white, young and old, male and female, all have their stories interpreted offering one of the most complete plantation tour experiences in the South. I am of the McLeod descent and no one looked for me. I believe this a relative of my mother and family. Need to know more about the Mr. McLeod. Where can I find more information, please advise. Thanks. 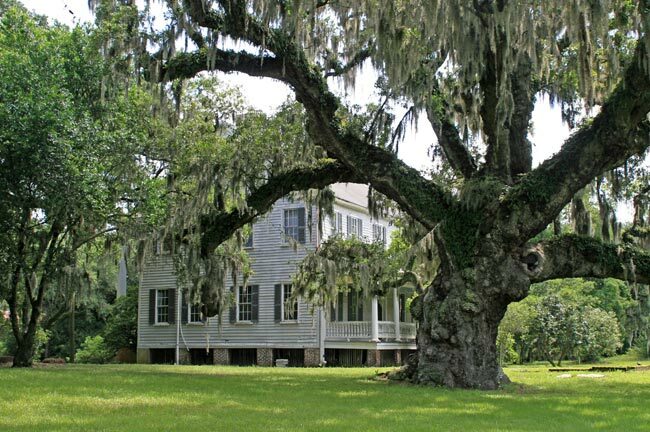 I am very pleased you are restoring McLeod Plantation and look forward to visiting it. I am interested in the outbuildings, the privy in particular. After writing the book Garden Houses and Privies, it is nice to still find something I have not seen before. 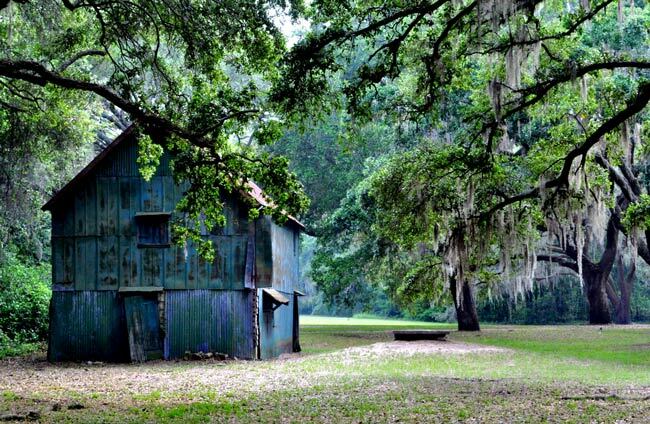 I grew up on James Island and was always fascinated with the plantation. Where might I find more information on this property prior to 1851? Thank you. Where will any records be located of slaves that were born or buried there? Are there any records? Sounds good that Charleston County Parks will take over and hopefully preserve and give it the historical attention it so deserves. Your article is the first I’ve ever even heard of this history. thanks guys.